What does the fact that Sears (SHLD filed for Chapter 11 bankruptcy protection early Monday mean for customers' warranties and gift cards? TheStreet's Stephanie Gleason noted recently that "usually, gift cards are honored during the course of a Chapter 11 case. It's not usually until the chain closes or changes ownership that they become worthless." But you'll want to use your gift cards up fast, as they'll likely become useless if Sears completely liquidates and closes its stores. Think of it like having a gift certificate to a restaurant that closed a few years ago. No one is there to refund it and no one else will accept it as payment. The only glimmer of hope: When Toys 'R Us went under, rival Bed Bath & Beyond (BBBY - Get Report) did accept Babies 'R Us gift cards, as pointed out by TheStreet's Stephanie Gleason. That's not common, but in a retail environment where some names are struggling desperately, perhaps it wouldn't be surprising to see another retailer -- like J.C. Penney (JCP - Get Report) for example -- step forward and offer a reduced gift card value in exchange for Sears cards. Sears customers with extended warranties might -- or might not -- have better luck. 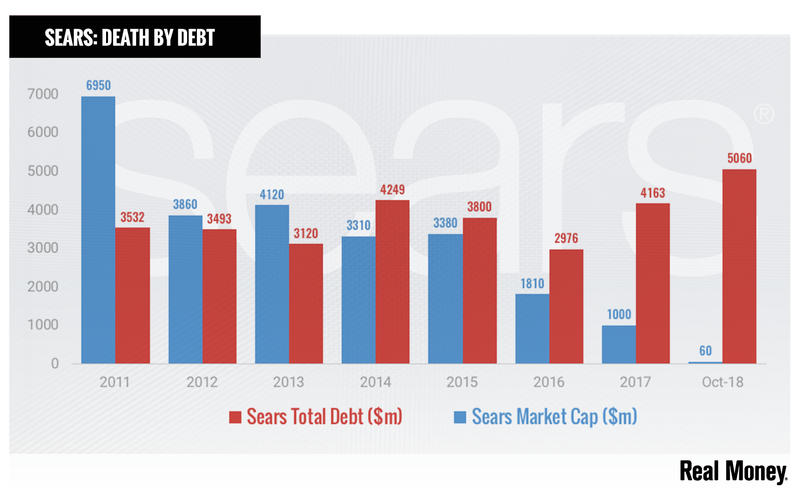 "Sears makes reasonably decent money from extended-warranty services," and funds that like go into its subsidiary, said Ted Gavin, a restructuring and corporate insolvency expert at Gavin/Solmonese. "Honoring those obligations would be critical to preserving the brand's viability in the future." Gavin said Sears can continue honoring warranties, or could file a motion with the bankruptcy court to reject those obligations. Or, Sears could do nothing and leave the outcome up for court debate. However, it's worth noting that when Sears closed its Canadian stores, the retailer opted to no longer honor extended warranties. Sears was willing to refund extended warranties sold during its Canadian unit's final 30 days, but not anything beyond that. According to Evan Kelly of the Better Business Bureau, "the simple rule of thumb is that if a business is operating then extended warranties are OK. If not, then there is little recourse. If you wish to fight for a refund, you could contact the trustee involved in the liquidation, but that can take a long time and you have to question whether it's worth the effort." One exception: Manufacturer's warranties on any non-Sears products that you bought at a Sears store should remain in effect.